Choose the online school you can count on for excellence in education. There’s simply no substitute for a quality education. At ALVS, we are committed to providing an online learning experience that meets the highest academic standards of excellence. 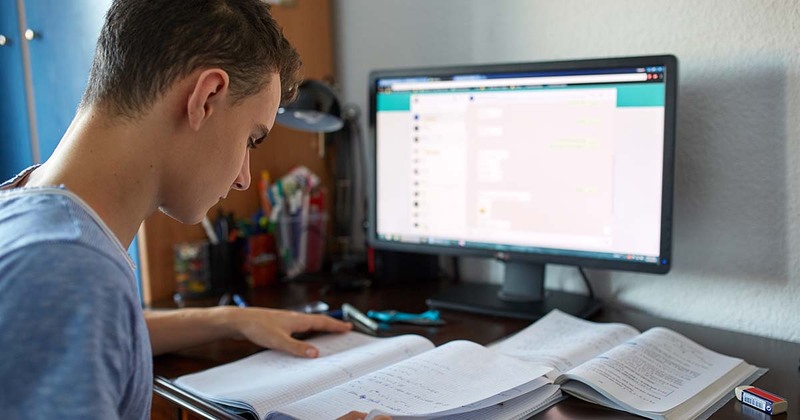 Since 1999, more than 100,000 students have successfully completed our online high school courses to earn credits, prepare for college, and become inspired to learn. Every element of the ALVS program is developed by educational experts to maximize learning outcomes. Your assurance of a quality education starts with our acclaimed courses. Teams of ALVS educational experts carefully design each course to exceed high academic requirements and integrate instructional best practices. Our excellence is validated by independent organizations. Apex Learning Virtual School digital curriculum is accredited by AdvancED and are approved by the National Collegiate Athletic Association (NCAA), and our Advanced Placement® (AP®) courses are approved by the College Board®. The result is students who are well prepared for graduation and college. With an average of 21 years of teaching experience — seven of those years online — our teachers provide quality instruction you can rely on. We select staff for their expertise in their subject areas and their passion for teaching. Our training programs ensure all ALVS teachers understand the power of online instruction and know how to use best practice methods to maximize learning outcomes. ALVS has been at the leading edge of online high school education for more than 18 years. ALVS students receive all the benefits of this experience. We continually improve our offerings to maximize the effectiveness of our online learning courses, teacher-student interactions, and the interactions between Parents, Counsellors, Teachers and Students in the system. Learn more about enrollment in full-time school and individual courses. To view our checklist, click here.